I had the pleasure of working with the beautiful Emily Yocco and her fiancé Alex on their October wedding. 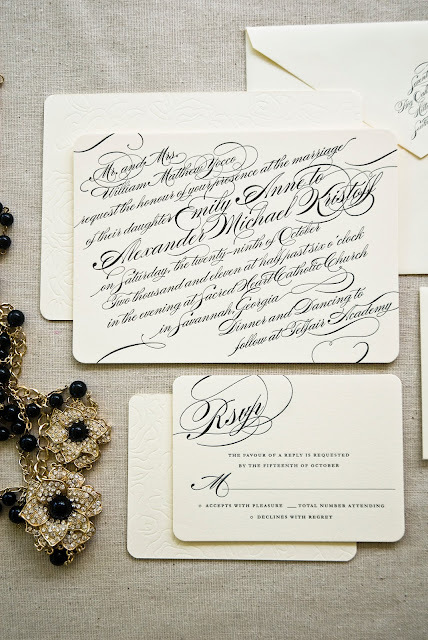 Sebrell Smith Designer Events did an amazing job on their wedding! 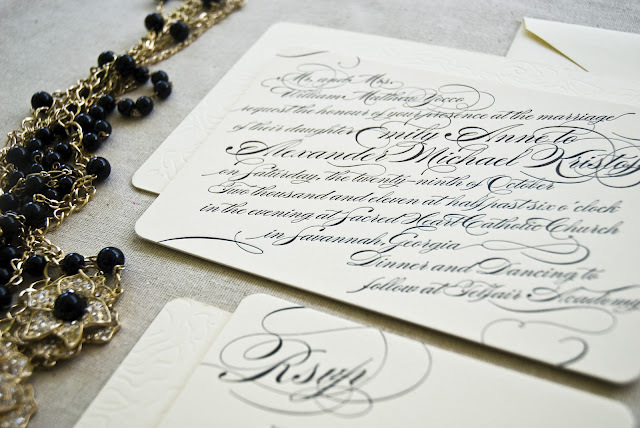 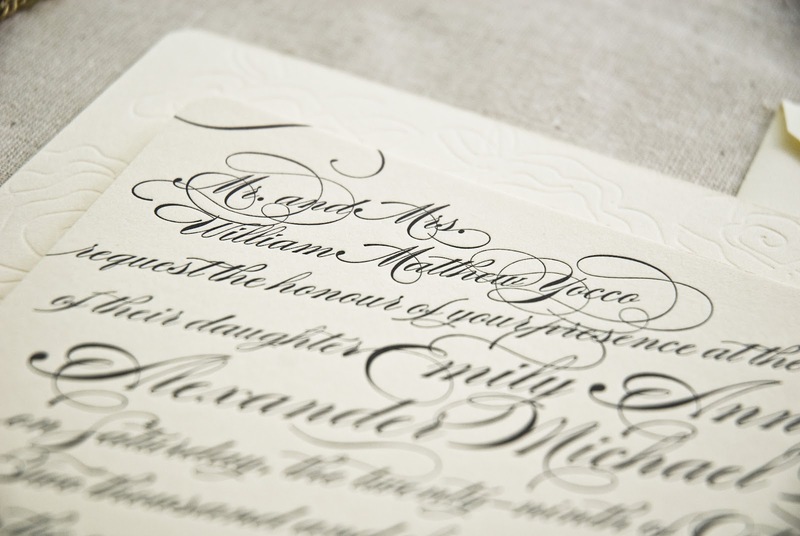 Emily wanted something different for her wedding invitation and loved the look of calligraphy. 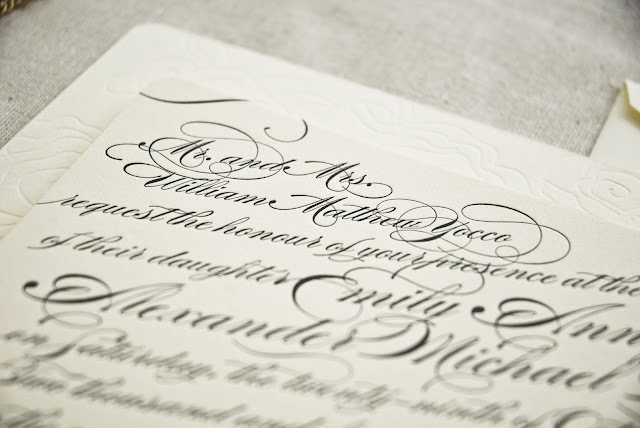 We printed the design on 220lb Crane Lettre in a rich black on ecru. 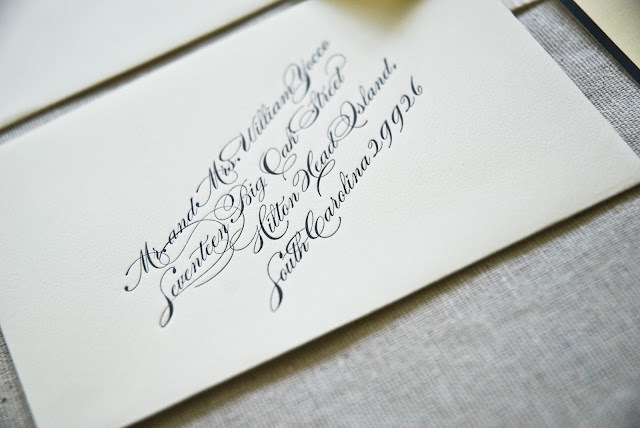 We also designed the back pattern from illustrating the flowers on Emily’s custom wedding gown. 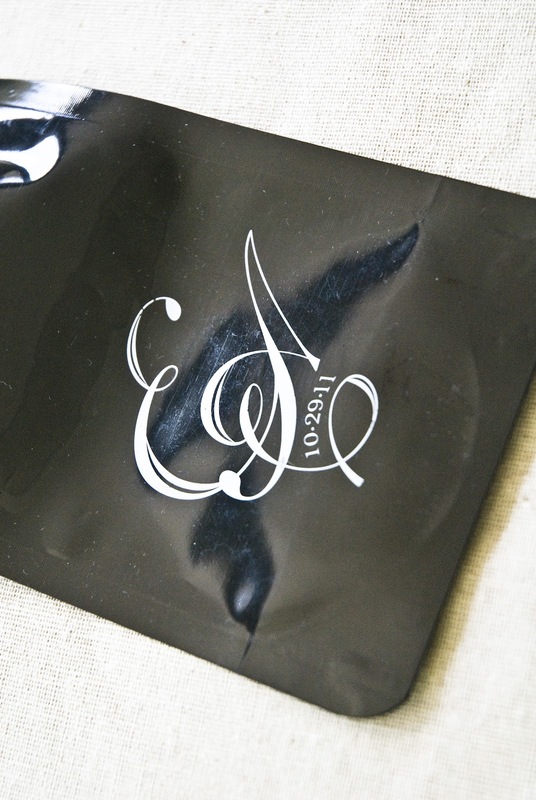 Alex created/designed the original disposable flask and has become quite successful – they added a custom monogram to the flasks as favors to their guests. Email me [email protected] if you are interested in a similar design!